Well done to your daughter on her achievement! I can't imagine all the different emotions running through your body whilst standing there watching her. That is awesome that she has stuck with it for two years and still seems to be enjoying it. Wow, she does look so grown up all of a sudden!! 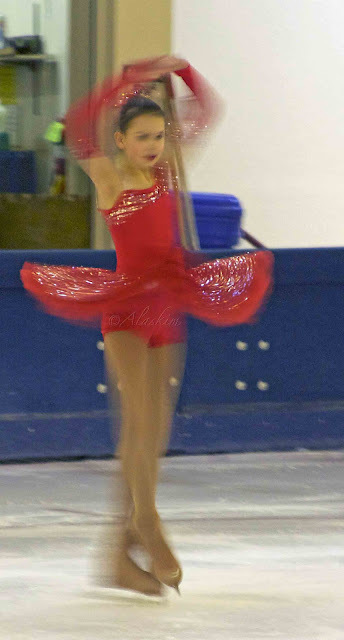 It must be nerve-wracking watching her on the ice, yet at the same time, super rewarding!! How fun. I admire anyone who can do such a difficult physical sport with grace. I tried ice skating once and it killed my ankles. Forget about trying to spin in those things. She looks incredible!!! Post a video!!! I understand completely. She looks great. She looks great! 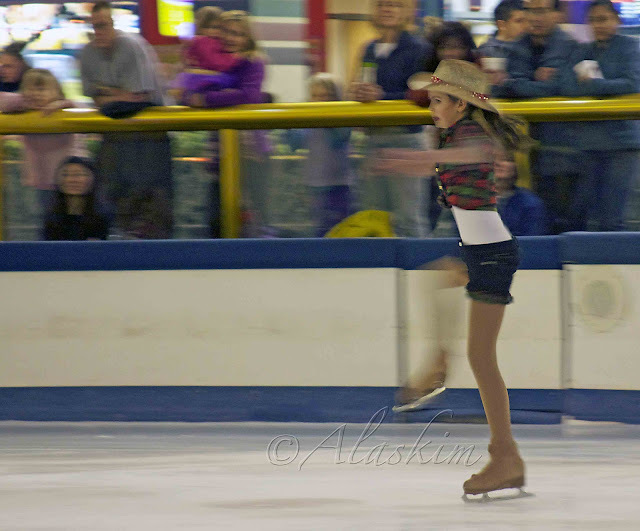 I love that she wanted to skate to an oldie! I remember when you were trying to decide whether or not to let her do it. I can't believe that was 2 years ago!